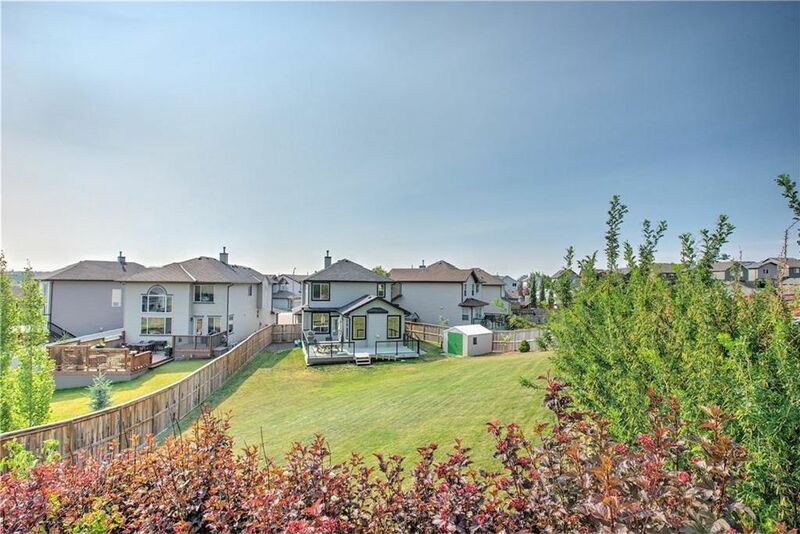 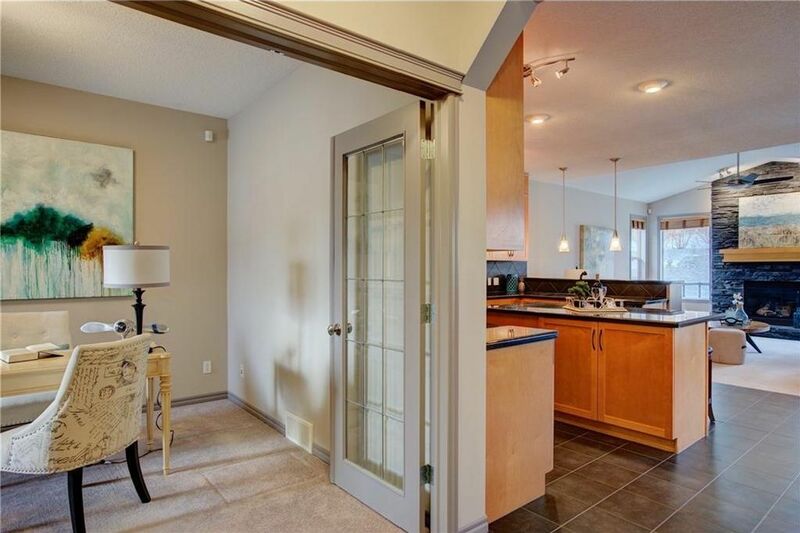 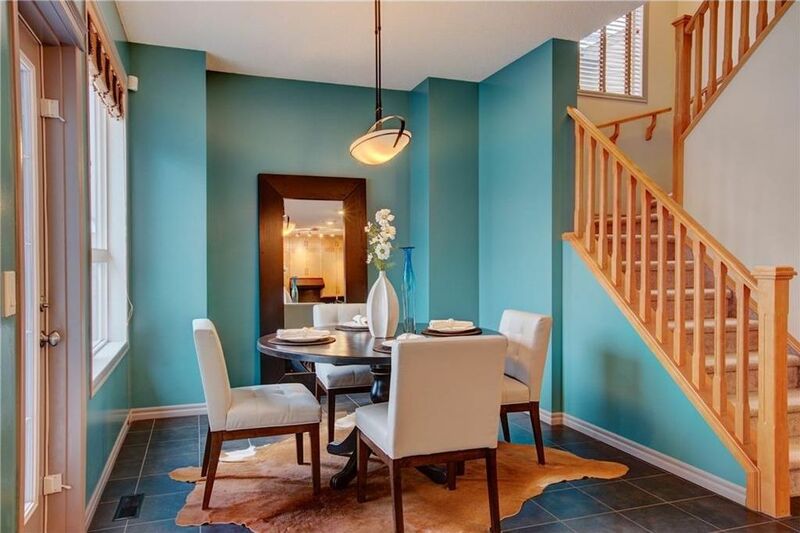 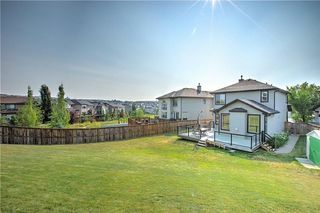 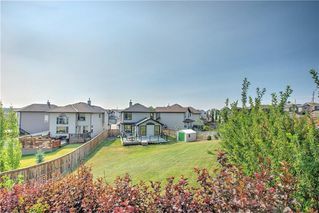 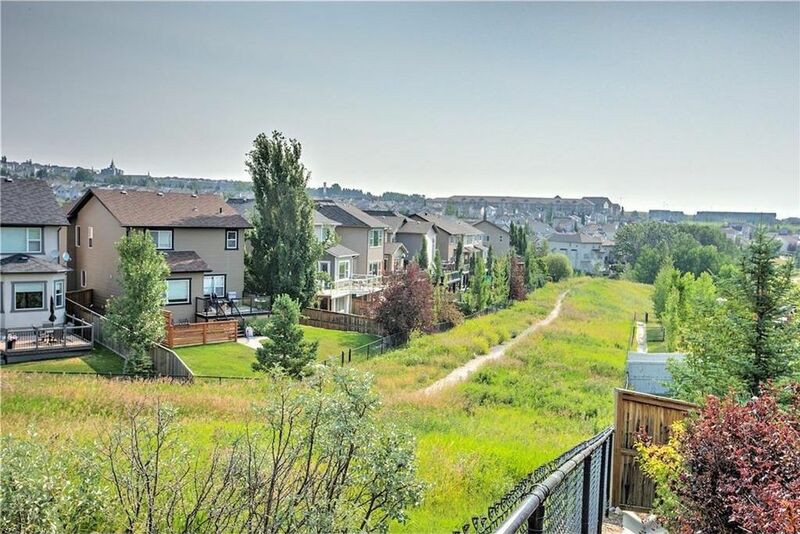 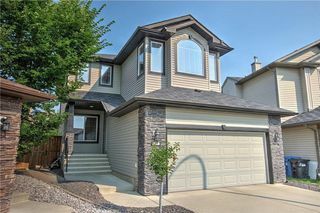 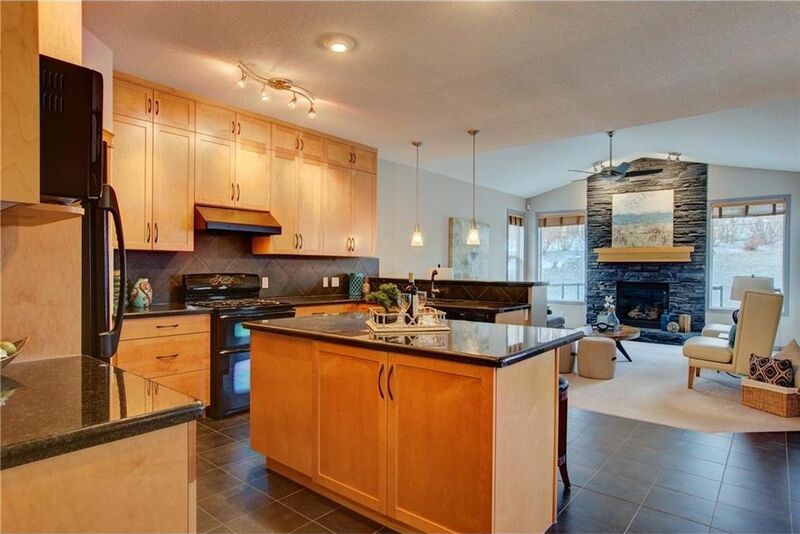 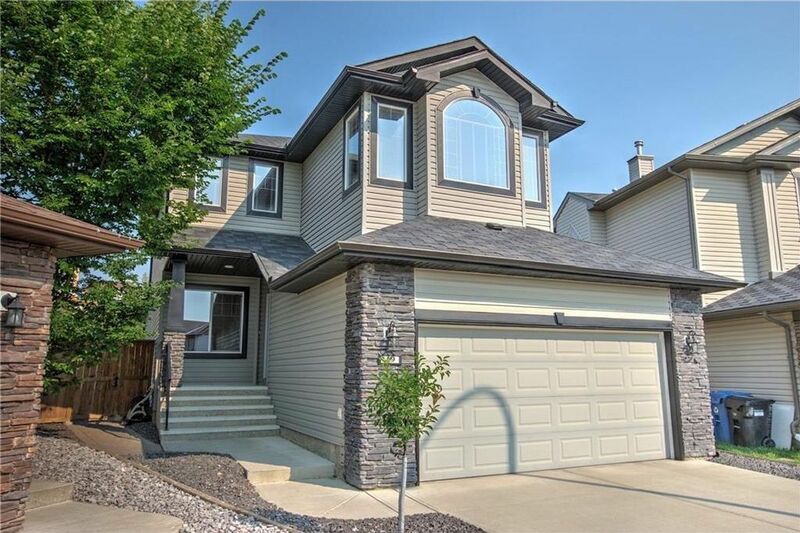 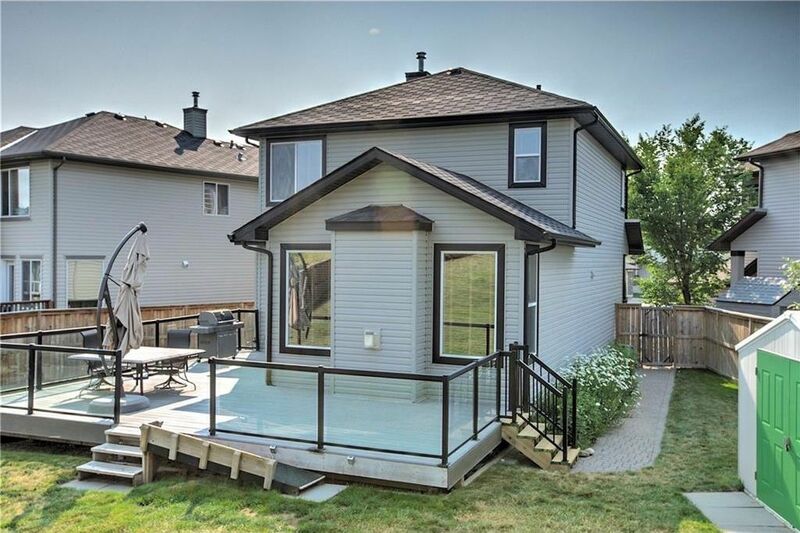 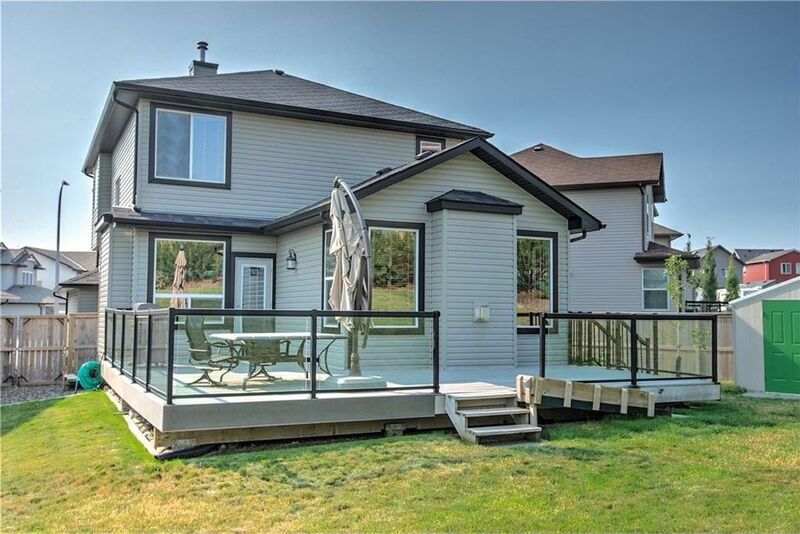 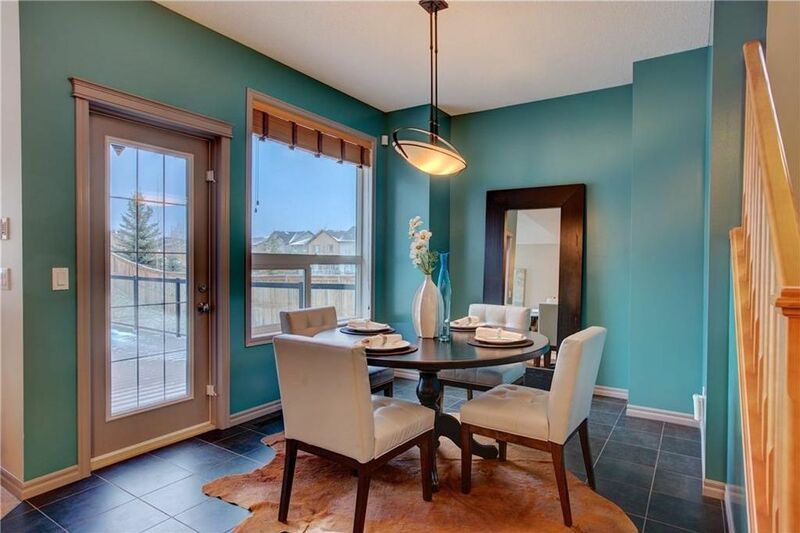 Located in the desirable community of Tuscany is this stunning & exceptionally maintained 2 storey family home. 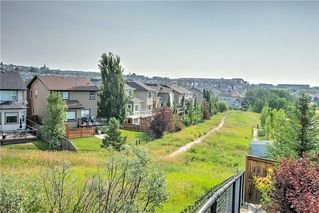 Adjacent to a green space, this enormous pie-shaped lot offers over one quarter of an acre of yard; ideal for all family outdoor activities. 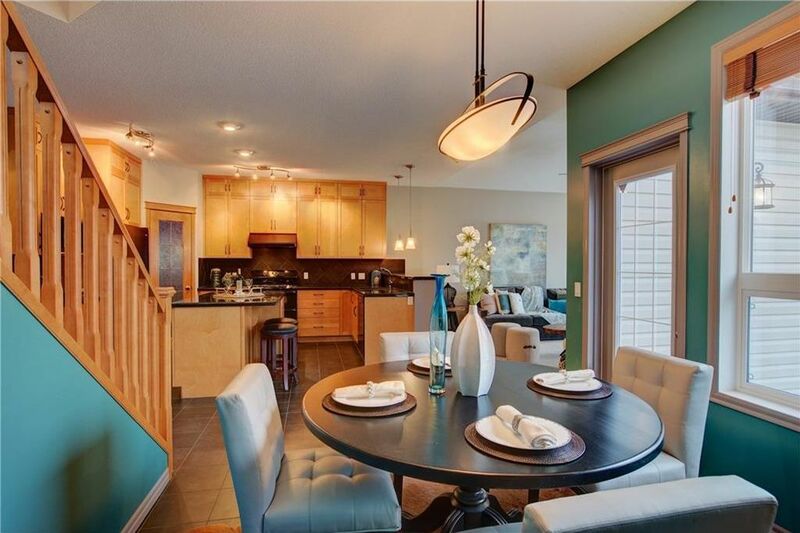 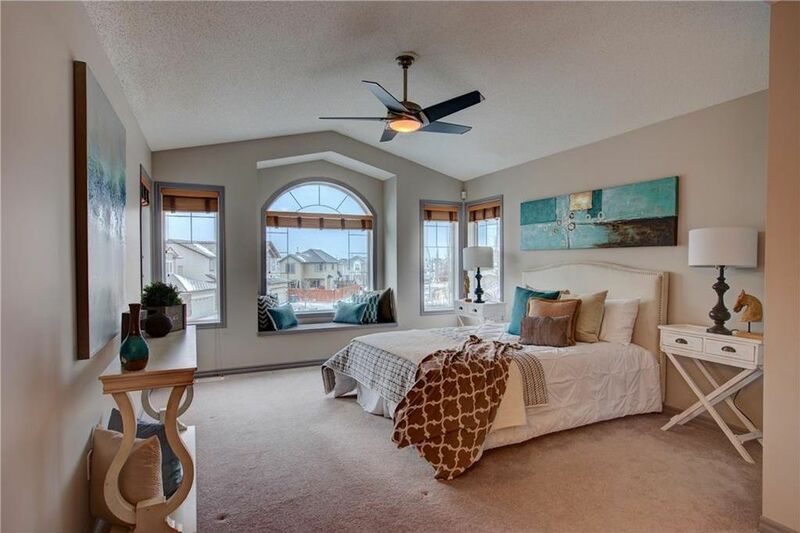 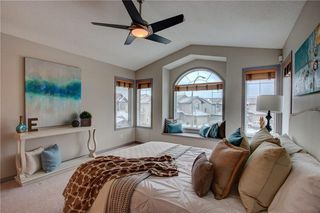 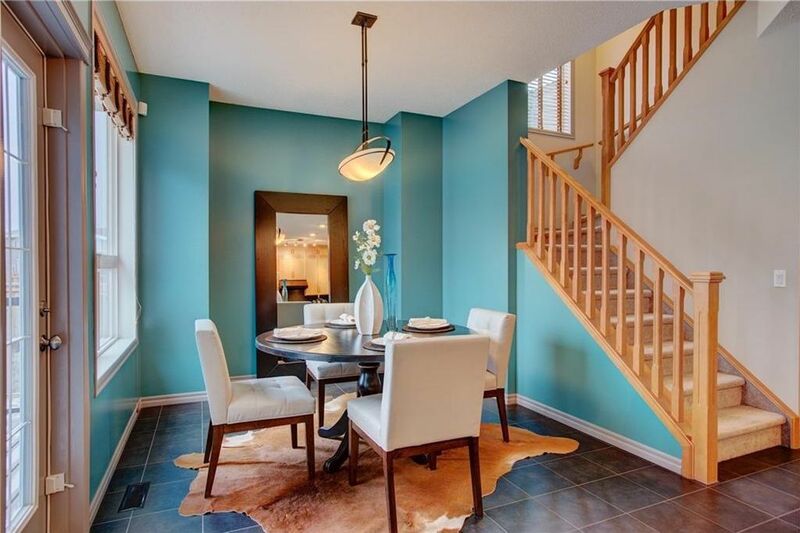 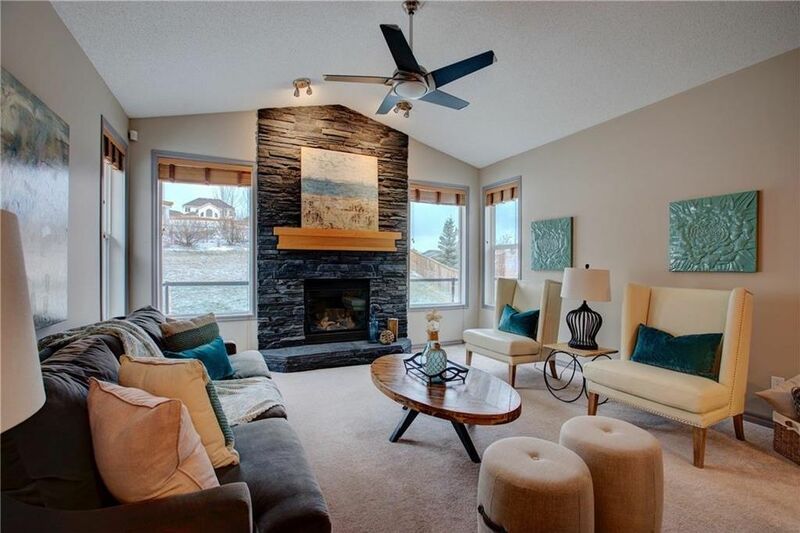 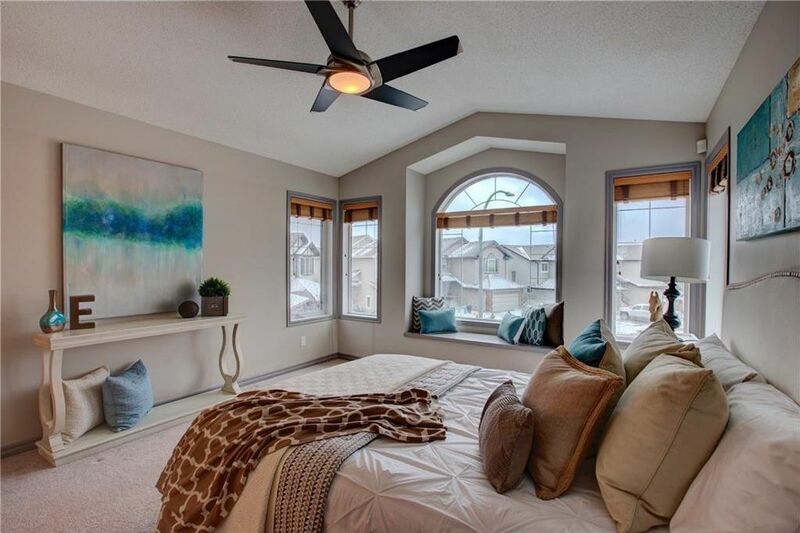 The Alpine IV layout built by Beattie Homes, offers 2,070 sq. 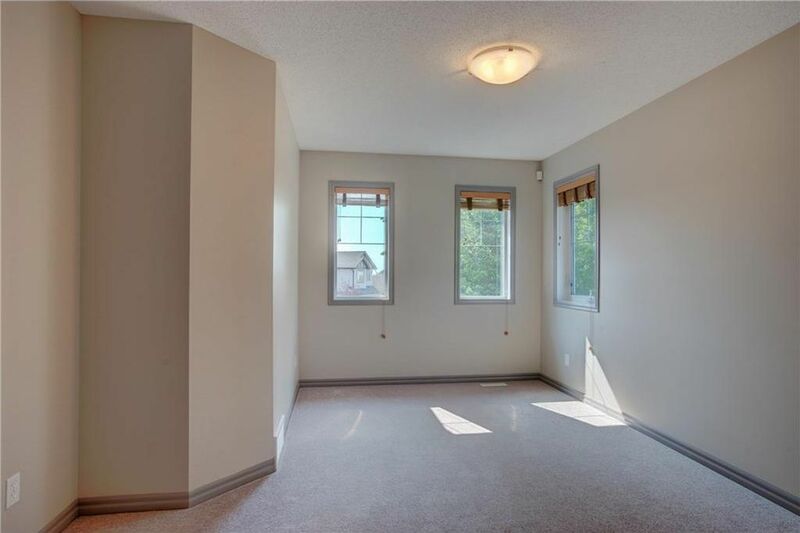 ft. of developed living space. 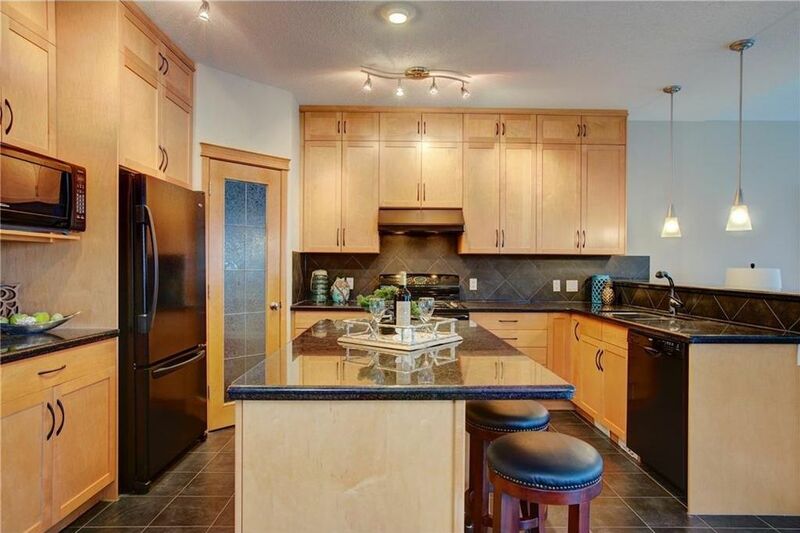 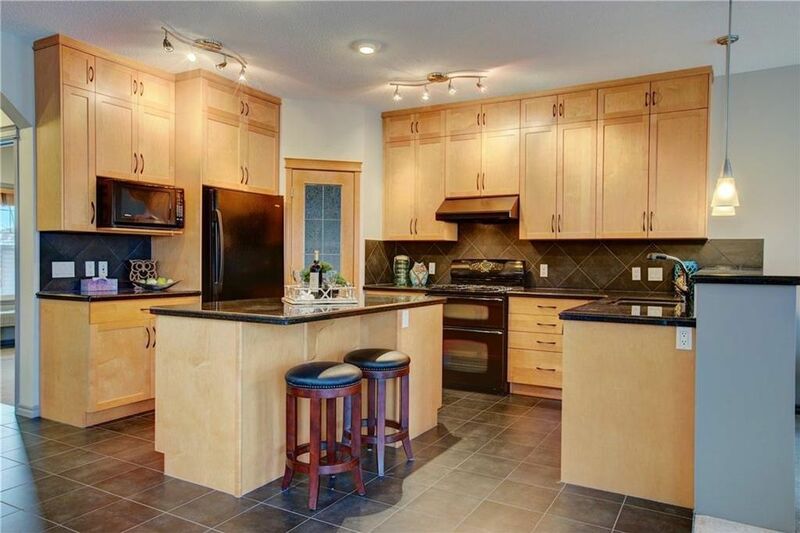 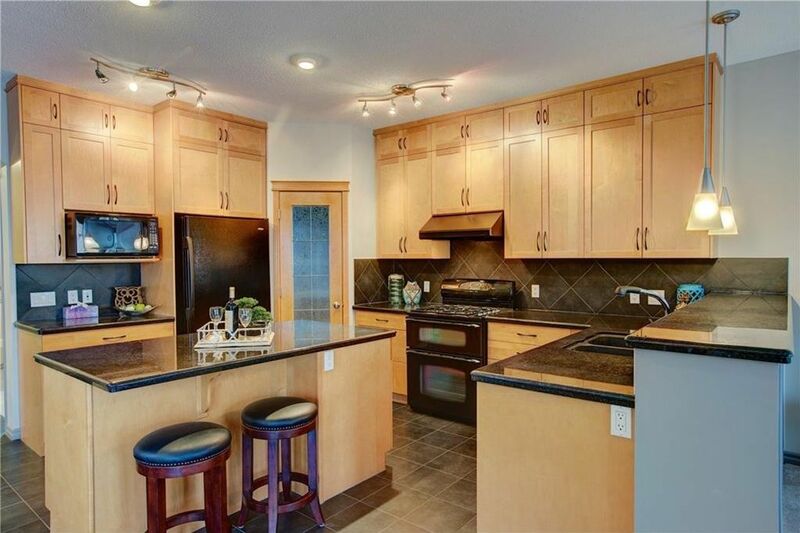 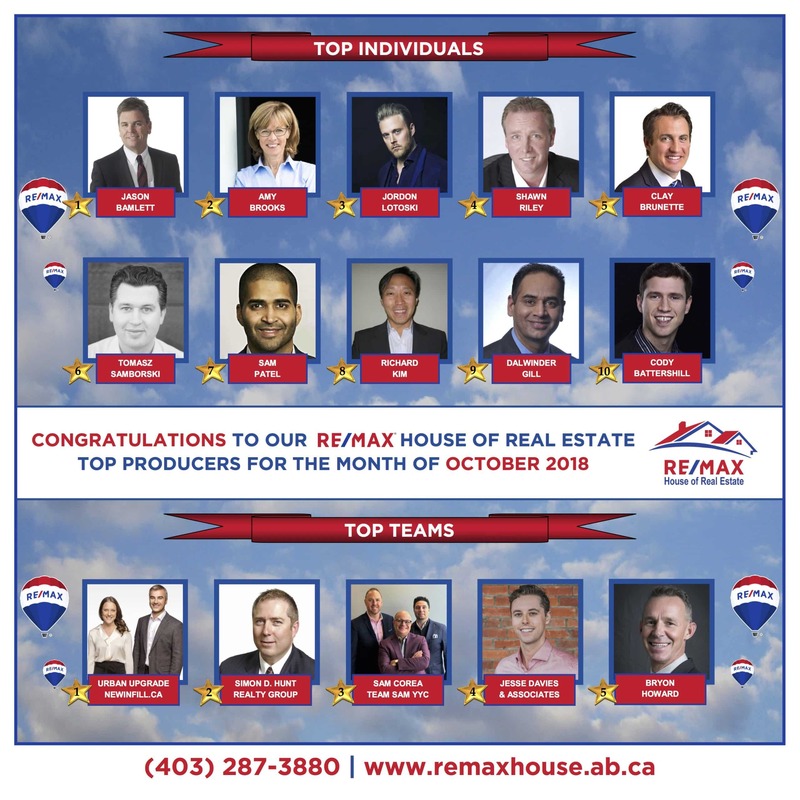 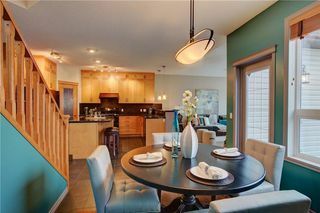 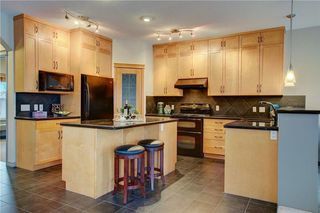 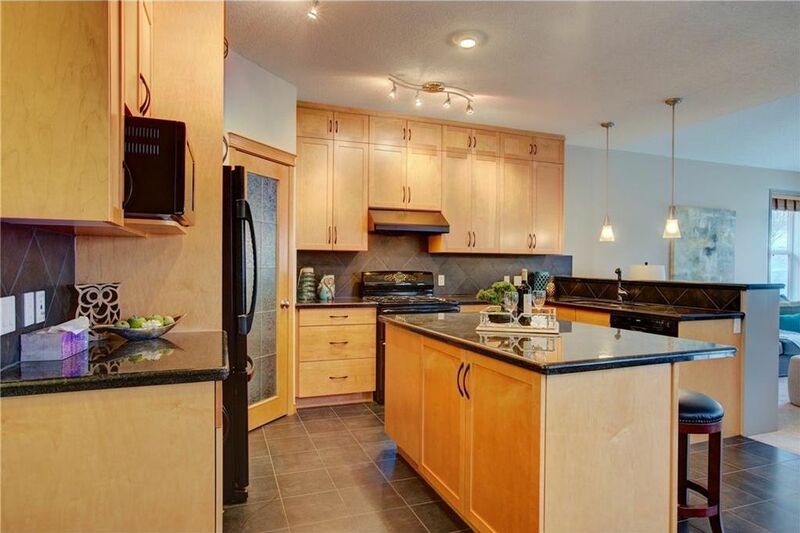 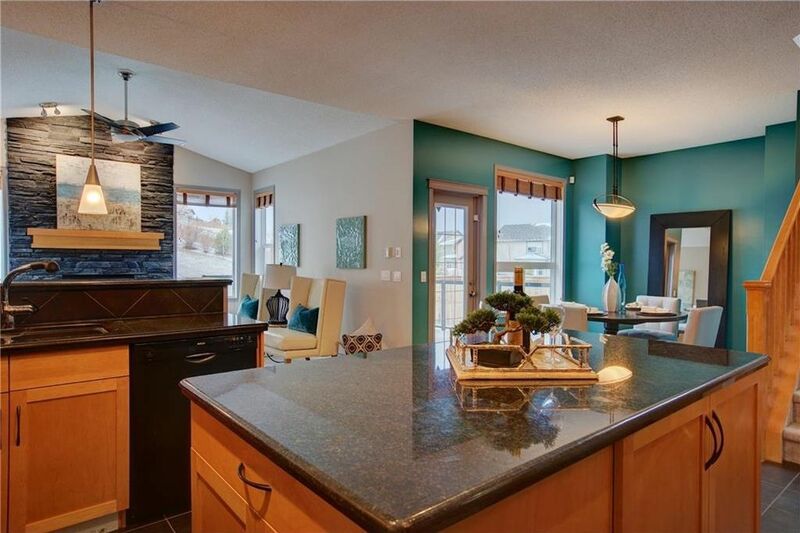 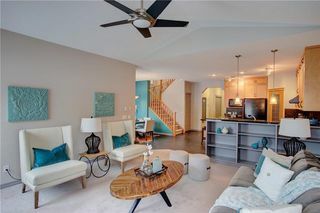 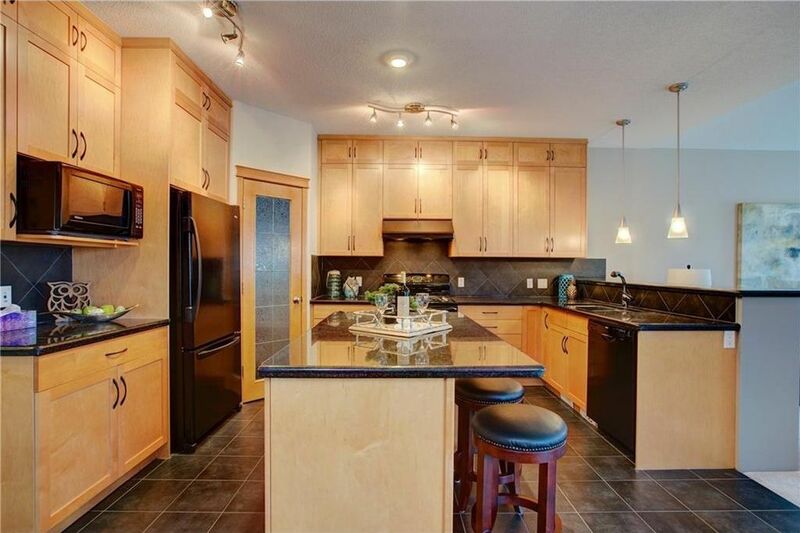 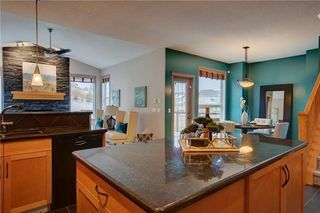 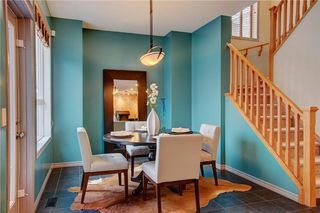 The bright & spacious main floor features a lovely kitchen with granite counters, breakfast bar & an abundance of ceiling-height maple cabinetry. The large dining nook looks onto the large composite Trex-deck & the massive back yard. 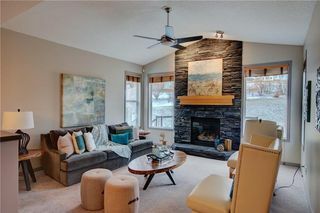 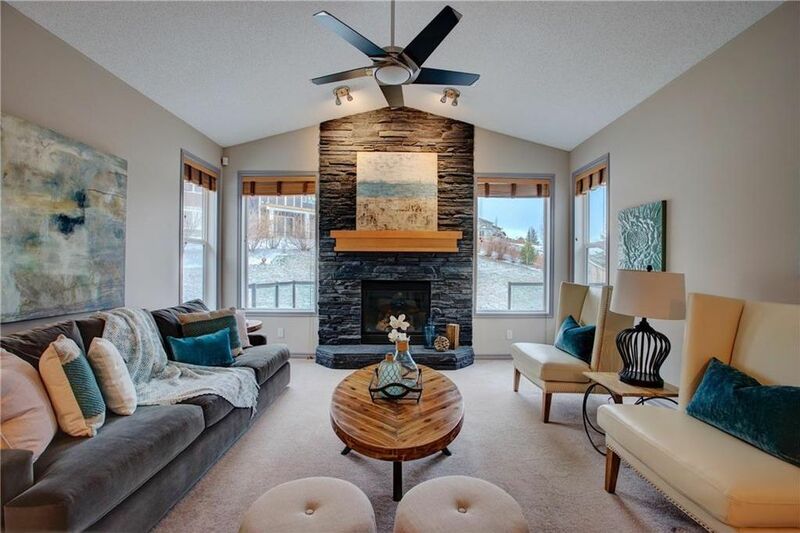 There are vaulted ceilings in the family room which is highlighted by the floor-to-roof charcoal colored stone fireplace. 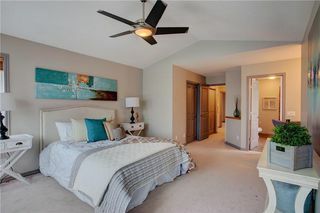 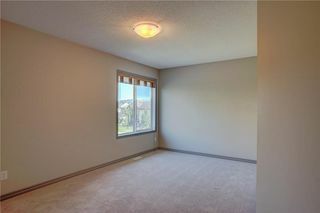 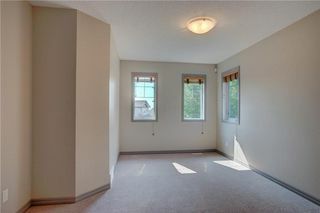 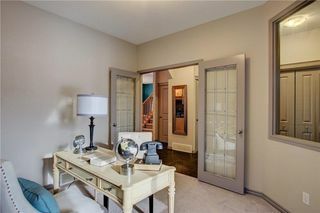 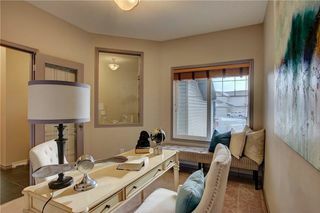 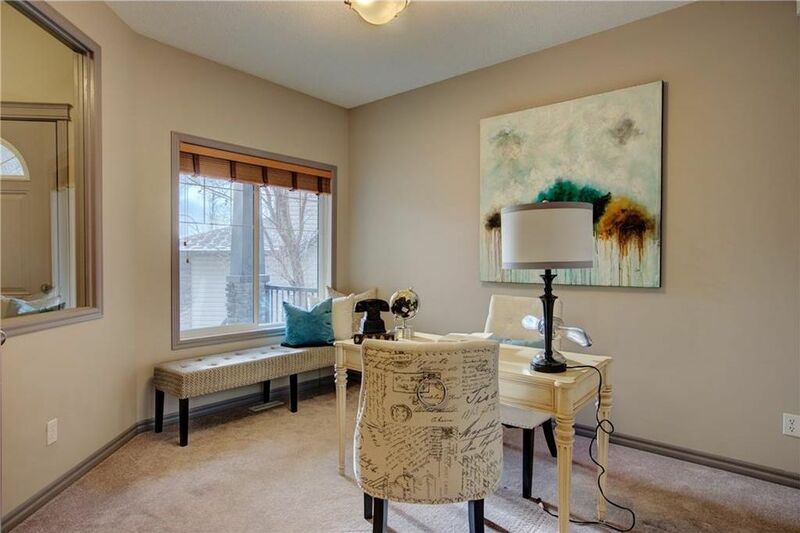 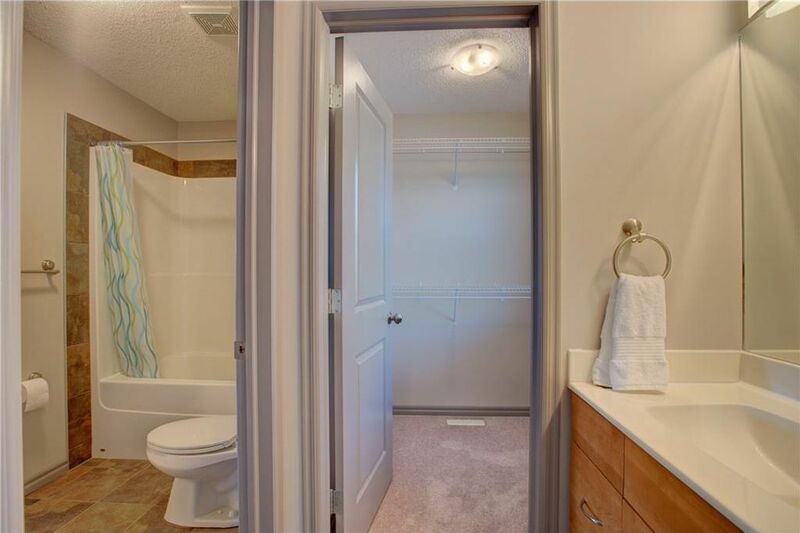 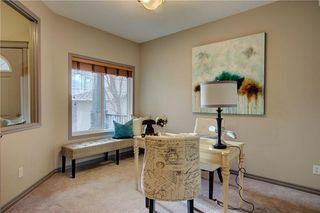 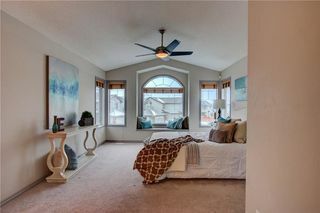 This floor is complete with laundry, 2pc powder room & a spacious flex room. 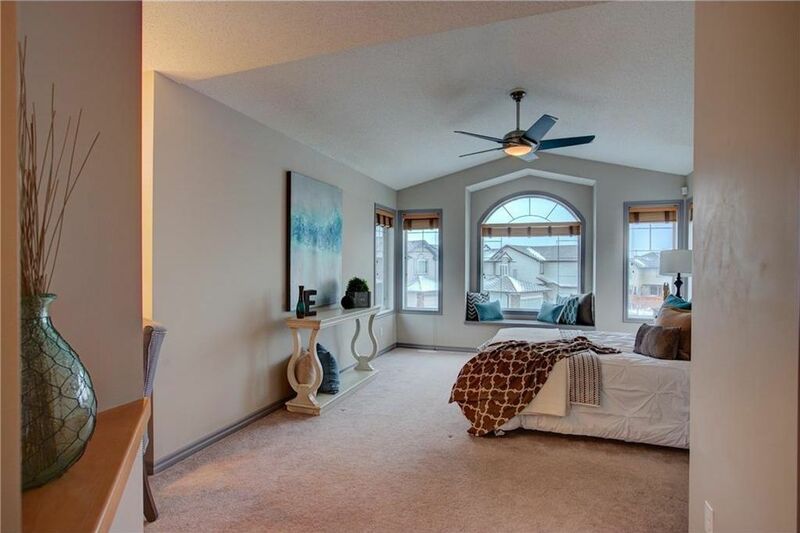 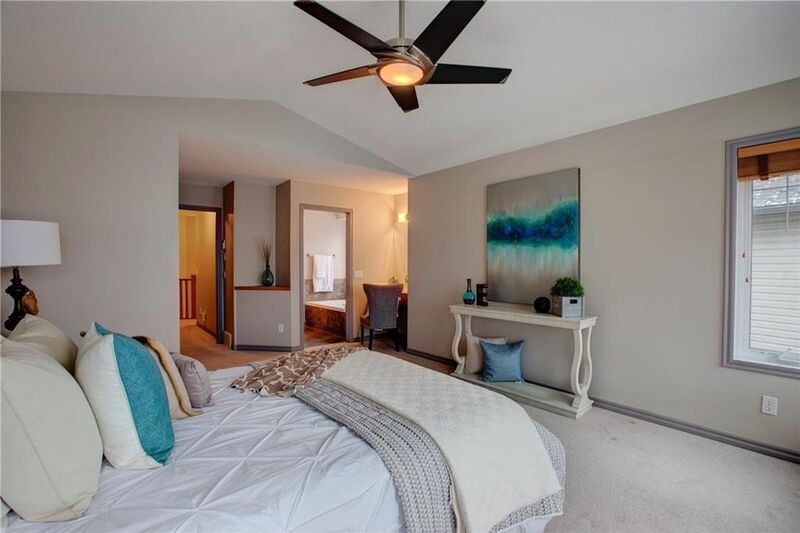 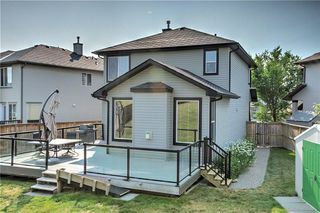 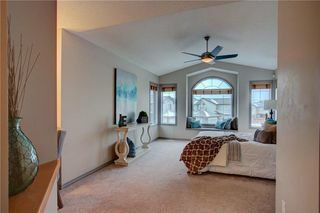 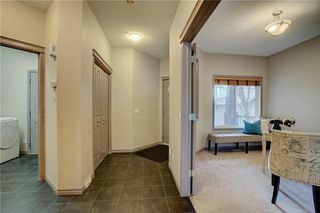 The 2nd level offers 3 bedrooms, including a large master with vaulted ceilings, walk-in closet & full ensuite with soaker tub & separate shower. 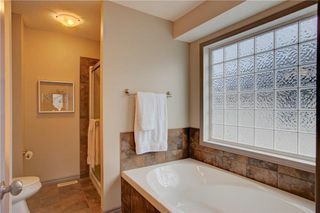 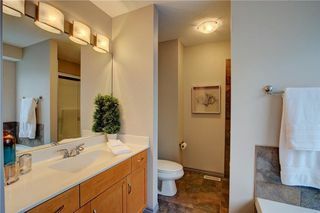 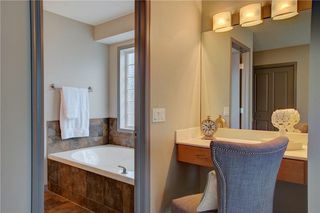 Custom designed Jack & Jill bath provides private & separate sink areas for 2nd & 3rd bedrooms.